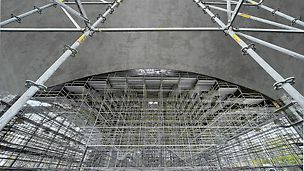 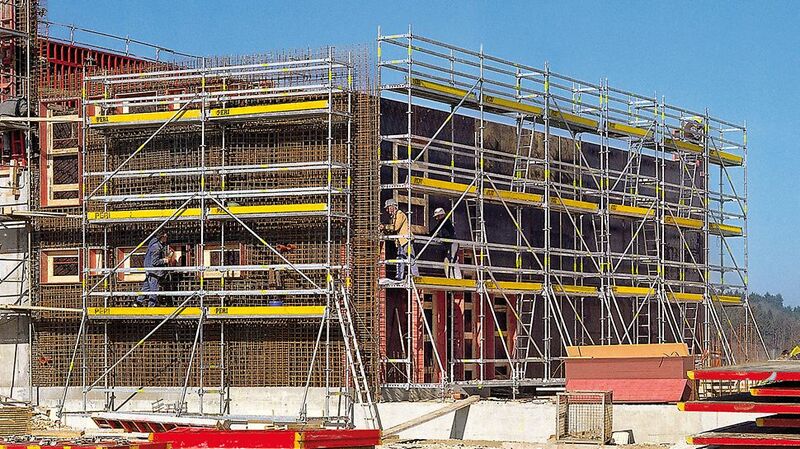 The PERI UP Rosett R scaffold system is the modular reinforcement scaffold for efficient work. 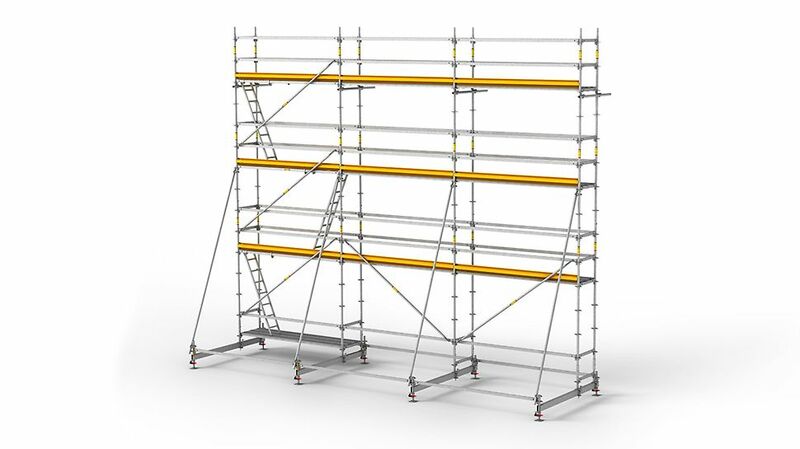 A reinforcement scaffolding is a special type of facade scaffolding. 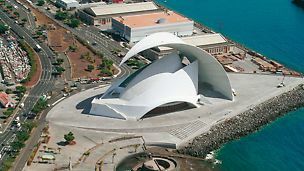 It is characterized by the fact that no anchors are required. 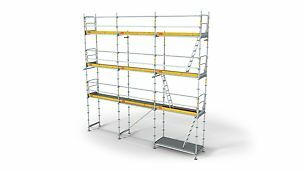 The units are stable without the use of ballast and can thus be moved without the need of any assembly work. 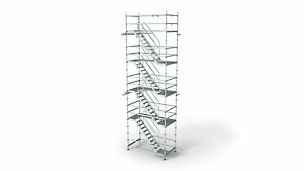 Erection instructions are available for the reinforcement scaffolding and contain all safety-relevant guidelines as well as lifting instructions. 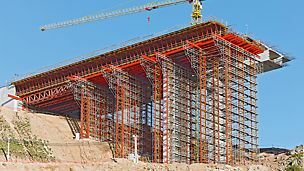 The different heights required in the course of formwork planning are taken into consideration during the configuration of the scaffold units. 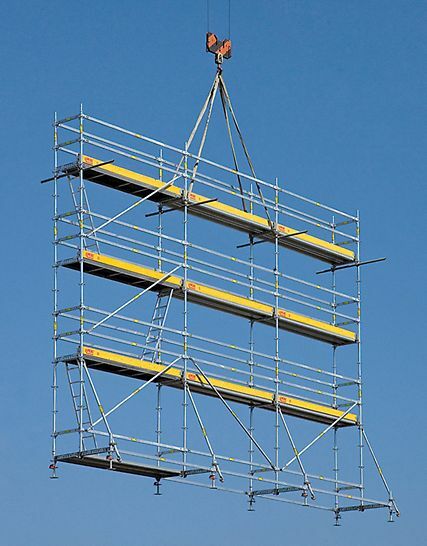 Complete units can be moved by crane due to the extremely tight connections.